TodaysSeniors Network Senior Health: Do Risk Factors For Breast Cancer Change With A Woman’s Age? Newswise, October 24, 2016 — Breast cancer is the most common cancer among women in the United States, with more than 230,000 diagnoses each year. Around 12.4 percent of American women will develop the disease at some point. Given these statistics, understanding and treating the disease is of great public health importance. Fuchs-Young’s laboratory is trying to understand why some women get breast cancer and others don’t, and why some women survive and others don’t. “If we can understand what the contributors are, we may be able to identify ways to better treat, and even prevent, this disease,” she said. Therefore, Fuchs-Young’s lab studies multiple contributors to breast cancer, especially those that may change the nature of the disease. Some of her earlier work has shown that risk of breast cancer is affected by the levels of a small peptide hormone called insulin-like growth factor 1. She is studying the possibility that higher levels of this growth factor early in life may be important in the development of early onset breast cancer, which Fuchs-Young says can be very different from breast cancer that occurs later in a woman’s life. “In some ways, breast cancer can be broken down into cancer that develops early in life—what we call early onset breast cancer—and late, post-menopausal breast cancer,” she said. The former tends to be more aggressive and harder to treat, while the latter tends to be more treatable with the drugs available now. 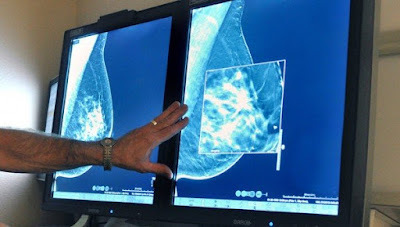 Breast cancer that occurs later in life usually has receptors for estrogen and progesterone and tends to be more treatable, at least in the short term. The tumors arising in post-menopausal women usually respond well to available medications that either lower the amount of estrogen in the body or block the hormones that can cause cancer cells to grow. On the other hand, early onset cancers tend to act differently: they are more aggressive, often grow faster and do not respond to drugs that block steroid hormones. Early and late onset breast cancer may have different contributing risk factors as well. “There’s no single thing that causes cancer,” Fuchs-Young said. Adding to the complexity is that the effect of external influences on breast cancer susceptibility may depend on when the exposures occur. “Our working hypothesis is that there is a connection between early onset breast cancer and early exposures to certain risk factors, one of which may be diet,” Fuchs-Young said. This is what her laboratory is investigating, using various types of models to try to understand causes and possibly identify ways to reduce the risk, or even completely prevent breast cancer.